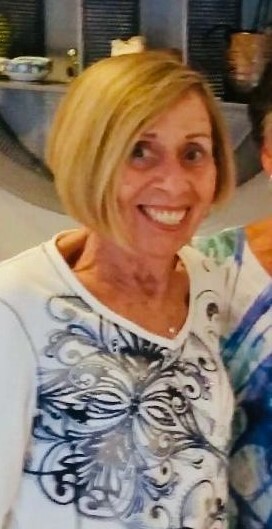 Madeline (Albanese) Parker of Reading formerly of Belmont and Shrewsbury, died peacefully surrounded by her family on April 1 2019. Madeline was the dear wife of the late Raymond Parker. Madeline was a graduate of Belmont High School and worked in administration for the New England Telephone & Telegraph company for over 20 years. Madeline enjoyed spending time with family and friends, reading and traveling. She brought happiness and joy to many and will be missed. Madeline leaves behind her loving family and friends. Sister Patty and her husband Joseph McLaughlin, nephew Jay McLaughlin and his wife Karin and niece Marcie Farrell and her husband John. Madeline dotted fondly on her grand nephews and nieces Teddy, Paige and Bridget McLaughlin and Tommy and Joey Farrell. She is also survived by her dear friend Charles Bergin and his daughters Karen, Linda and Lori and her longtime friend and Belmont classmate Trudi Murphy as well as her caring, loving Aunt Jeana DeStefano and many loved cousins. Visiting hours in the Brown & Hickey Funeral Home 36 Trapelo Road Belmont on Thursday April 4 from 4:00 – 7:00 PM. A funeral mass will be celebrated in St Luke’s Church 132 Lexington Street Belmont on Friday at 9:00 AM. Relatives and friends invited. Interment Belmont Cemetery. Donations may be made in her memory to the Rose Monahan Hospice House, 10 Judith Road Worcester, MA. 01602.